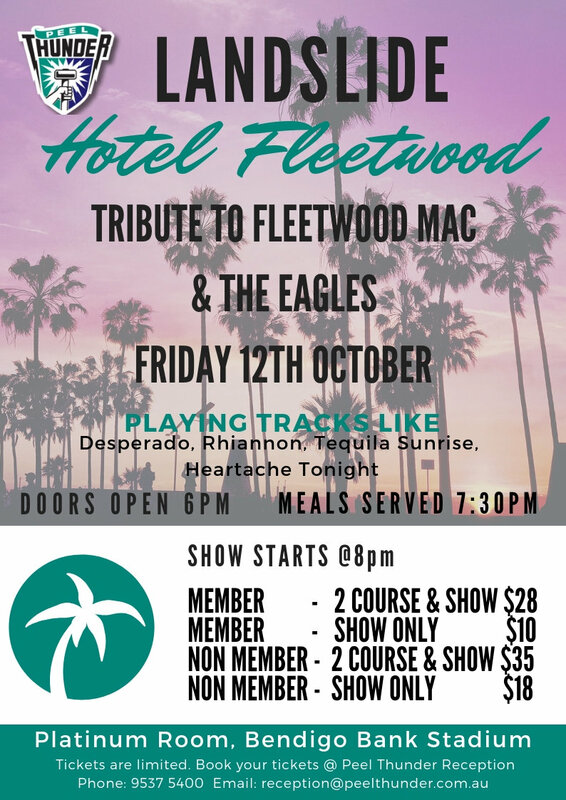 Join Peel Thunder Football Club as 'Landslide' perform live in a tribute to Fleetwood Mac & The Eagles. Tickets can be booked via Peel Thunder FC reception or by calling the club on 9537 5400. There are options of 2 course meal & show or show only. Book today as there are limited dinner/show options.